Macau Pageant Alliance recently appointed Cherry Chin as the new Miss International Macau 2018. 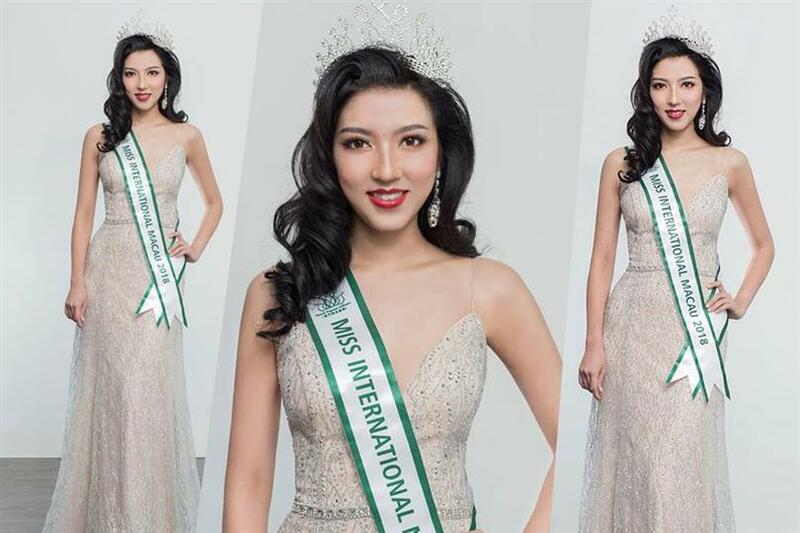 Cherry will now represent Macau at the upcoming Miss International 2018 pageant. The 24-year-old beauty is currently working as a Property Leasing Consultant as well as a Model & Event Emcee. Cherry graduated from the University of Macau, majoring in hospitality and convention management. During her spare time, Cherry likes to play the bass, play the flute and practice yoga. The organization opened the registrations for the divas of Macau to participate in the competition and get the opportunity to represent Macau at major international pageants. The contestants were narrowed down to 15 before final four were selected by the jury. The judges of the audition included the National Director of MPA Frederick Ip, Miss International Macau 2012 Cherry Ng and Miss Grand Macau2017 Kayi Lei. Macau is yet to pioneer its win at Miss International pageant. Do you think Cherry Chin will be able to bring home the crown this year? Let us know your thoughts in the comments section below.